Stephen is a Consultant Ophthalmologist with the Retinal Units and Liverpool and Westmead Hospitals. He is a specialist with training in macular and retinal diseases with an interest in diabetic eye disease and age related macular degeneration. Stephen completed ophthalmology training at Sydney Eye Hospital before sub-speciality training in Medical Retina. Stephen has been an investigator in many international clinical trials developing new agents to treat retinal diseases for more than ten years. He is the treating investigator in many of the key trials of therapeutic agents to treat age related macular degeneration, diabetic eye disease and retinal vein occlusion. As a consultant ophthalmologist at Liverpool Hospital he is keenly involved in the training of specialist eye surgeons in the management and diagnosis of retinal diseases and complicated cataract and trauma surgery. 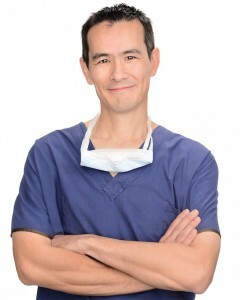 He lectures and mentors medical students from the University of New South Wales and the University of Western Sydney. He is a member of the Australian and New Zealand Society of Retinal Specialists.